The uses and abuses of the Trump Foundation have been reviewed extensively. But court cases take longer to bring, and the N.Y. Attorney General’s office appears determined to bring one now—potentially, if reports are to be believed, with the help of insider Michael Cohen. 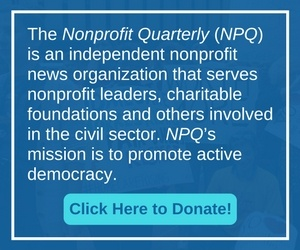 A nonprofit, after being investigated for the misuse of organizational funds, puts in place a set of safeguards, but the response includes a large dose of overreaction. A horse rescue nonprofit in California paints itself as a “lone wolf” operation that is willing to go to extremes to outdo its “competitors” to prevent animal suffering. The realities of its operation may be even worse than what that revealing statement suggests. In a pattern reminiscent of the Catholic Church, USA Swimming left its swimmers acutely vulnerable by internally flagging those accused of sexual misconduct but not banning them from work in the sport.